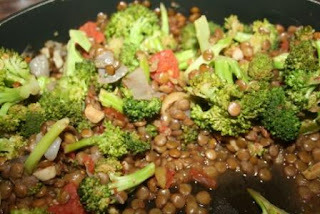 Two Bears Farm and the Three Cubs: Italian Lentils and Broccoli - Healthy, Hearty, and Vegetarian! This looks great! When the weather turns cold again, we will have to try it.